The Crepe Club is introducing a traditional European holiday dessert for the holiday season. 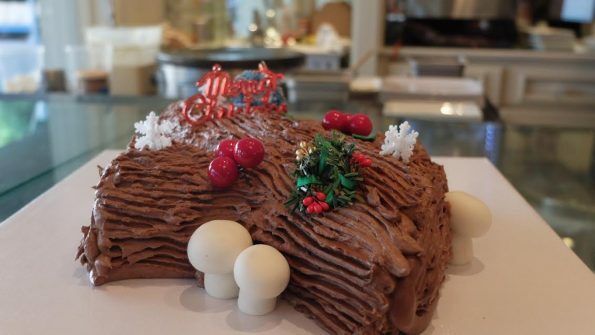 The Buche de Noel, also known as a Yule Log, is a rolled sponge cake shaped and decorated to look like a log. It’s adorned with Christmas symbols and served around the holidays. The festive dessert is a family tradition for Karim, Fares and Omar Tarabichi, brothers and co-owners of The Crepe Club. They wanted to bring the delicious custom to their guests. The cakes come in a choice of Vanilla or Chocolate and serve about 8-10 people for $49.95. The cakes must be pre-ordered 72 hours in advance of pick-up. They will be made fresh from scratch at The Crepe Club’s bakery in Tempe. The Crepe Club will be closed on Christmas Day. For more details about their menu, location, and hours, visit The Crepe Club online at TheCrepeClub.com and on Facebook and Instagram @thecrepeclub.